Parallax are the embodiment of the classic underdog tale, and their commitment to doing things differently and keeping close to the makers and enthusiasts who made them what they are today is really what makes them special. Founded in the bedroom of Chip Gracey in response to the lack of hardware/software education opportunities, Parallax have always been a company by makers, for makers. Although they’re no PIC or AVR, Parallax could arguably be attributed as the founder of widespread homebrew microcontroller development. As far back as 1992 they developed the BASIC Stamp, the tool that they needed to power their own hobby projects. This postage-stamp sized, affordable microcontroller gained traction quickly and created its own industry. By letting ordinary folks program microcontrollers for the first time, it gained widespread appeal among everyone from scientists and engineers to bedroom-bound hobbyists. They had shifted over 125,000 BASIC Stamps by the end of 1998 and developed a range of peripherals to support them. By 2002 this had grown to over 3 million. The BASIC Stamp was very much the Arduino of the last two decades, and in fact predated the current hobbyist go-to by over 10 years. 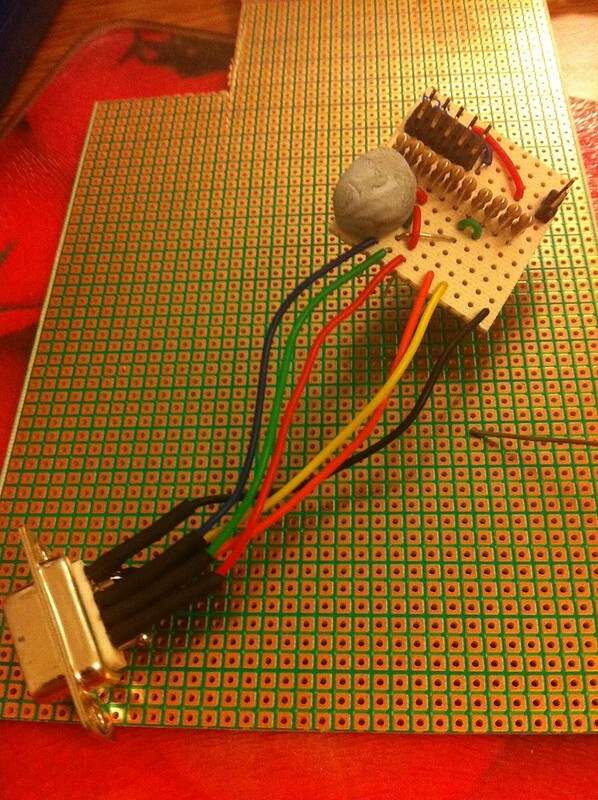 With the success of the BASIC Stamp giving Parallax a solid foundation, Chip turned his attention to designing the bold and unconventional Propeller Microcontroller. The Propeller, known more specifically as the P8X32A, was introduced way back in 2006 and now has a diverse array of education and maker-friendly form factors. In this article I’ll be giving you my first impressions of the Arduino-like and shield compatible Propeller ASC+. The Propeller Microcontroller is a beautifully quirky detachment from what we’re normally familiar with in the world of Microcontrollers. First and foremost it’s multi-core, featuring 8 32-bit cores called “cogs”. This is a little bit like having 8 Arduinos connected together and running from the same codebase- you can instruct a cog to perform a task, and it’ll run happily in its own little world and let your main program flow continue uninterrupted. Secondly, and somewhat more controversially, the Propeller is devoid of any purpose-specific peripherals. It doesn’t have an ADC, it doesn’t have PWM, it doesn’t have a watchdog timer, or interrupts and, surprisingly, it doesn’t even have any onboard non-volatile memory… at… all. This may make the P8X32A sound utterly dismal, but many of these things are balanced out effortlessly by the sheer amount of processing power available on its 8 cores. You can, for example, dedicate a core ( or cog in Propeller-speak ) entirely to generating a PWM frequency, or to acting as a VGA driver, or a driver for WS2812 or SPD8806 LED strands, or to polling for certain conditions and acting as an interrupt-handler. The P8X32A is also not as robust as you might expect a common AVR ATMega Microcontroller to be, it only supports 3.3v signals and thus requires logic level conversion to interface with 5v systems. These are pretty rare, admittedly, and many sensors and devices commonly used by hobbyists either only work at 3.3v, or are happy with it. The P8X32A has its differences, or its quirks if you will, and these are what make it interesting. It’s most definitely not an AVR and clearly not a PIC. It is different, and new. This is exactly what drew me to the P8X32A and, as you’ll find in these first impressions and any future rantings about the Propeller, exactly what made hacking around with this new toy fun. The Propeller can run up to a whopping 80mhz, every cog processes instructions simultaneously and they can be started and stopped on-the-fly as and when you need them. Using Propeller Spin language and the Spin interpreter you can even create self-modifying code if the fancy takes you. It’s a cool architecture, and a great challenge for someone looking to graduate from from Arduino and test their mettle with some new concepts. First off, ASC stands for Arduino Shield Compatible. But acronyms aside, just a single glance at the layout of the board makes it pretty obvious which market it’s aimed squarely at. The ASC+ is touted as a powerful, drop-in replacement to an Arduino UNO/Leonardo and is intended to be an easy way to add some oomph to your projects without a total change of form factor. The ASC+ takes a P8X32A and combines it with all the support peripherals required to make it behave more-or-less like an Arduino. This includes an ADC, of course, to give it 8 analog inputs and a 64KB EEPROM that gives you 32K of program space, and 32K of data storage. It’s also got an integrated Micro SD slot on the underside of the board, handy for storing logs, data files, wav files and, if I’m not mistaken ( and with the right bootloader ), even program code and, if you’re completely bonkers, additional ( but slow ) memory. The handling of 5v signals is done by means of an inline 2.2k resistor for each Arduino shield header pin. This is an ever-so-slightly untidy solution and means you must add a solder bridge across two pads underneath each pin if you wish to use them reliably for high-speed 3.3v signals. The combination of an interesting new Microcontroller with a familiar format is comforting and a great way to explore new possibilities with slightly more of a safety net and less of a learning curve than a bare 40-pin DIP. I say hot. The Propeller is not new, and many of you may have come across it before, but it is an excellent way to start playing with something a little different. Its killer feature is true multi-core support, those 8 32-bit cores can be put to a diverse range of uses and can run a mix of assembly, spin or compiled C. In my first experiments I set it up to drive 26 WS2812 and 160 LPD8806 pixels simultaneously- the LPD8806 had a slug of inline Spin running in its own cog, the WS2812 was implemented in Assembly also running in its own cog and my glue code was written in C using Simple IDE. In my next Propeller article, I’ll tell you how I got this set up and hopefully give you some pointed for replicating my success- after that… who knows! I’ve got 3 cogs left unused and I’m eager to see how far I can push this micro. What makes the Propeller P8X32A even hotter right now is the fact that it’s open source: http://www.parallax.com/microcontrollers/propeller-1-open-source. If you already have a sufficiently beefy FPGA board then you can fabricate your own Propeller chip and start programming and tweaking it. Parallax are working on a Propeller successor, and are clearly hoping that the feedback and improvements they see on the open-source P8X32A will be useful for refining the design of the Propeller 2. There’s nothing cooler than a hobbyist-friendly company who both listen to their customers and share their IP for the wider benefit of all- Parallax are awesome people doing awesome things and I highly recommend tinkering with their boards. Google Coder currently changes the password of the "pi" user account to the one you enter in the web interface. If you find yourself unable to SSH or otherwise log into your Pi after following this guide, then use the password you specified for Coder and change it back with "passwd" at the command prompt. If you want to set up Coder on a non-Pi linux system, you will also need to do the above. Coder doesn't appear to use the Pi account for anything, but sets it presumably for convinience in full SD-card based installs. 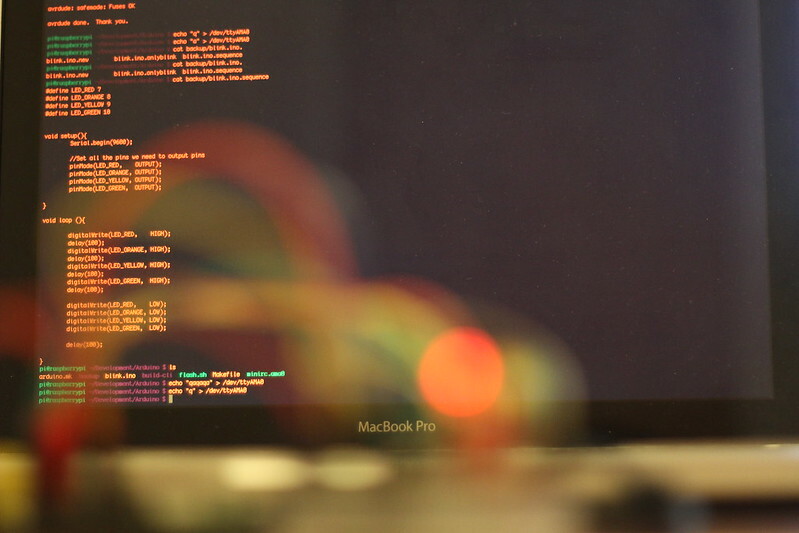 You've probably heard of Google Coder, it's being pitched as a simple way to make web stuff on the Raspberry Pi. And it is! The side-by-side code and preview is great, and the clean, simple web-based IDE keeps out of your way and lets you get down to learning. Getting Coder up and running on the Pi can be very simple, but you have to swap to a different SD card or sacrifice your existing installation to use Google's image. That's a bit of a pain if you're just interested in giving it a try, or want to test the water before you start re-imaging an SD card! Fortunately, the quick and easy way is not the only way. Coder is just a NodeJS application, and you can get it from GitHub here: https://github.com/googlecreativelab/coder and have it up and running on your Pi or your desktop in a few minutes! The part of Coder you're interested in is coder-base. Here you will find server.js which you can run with Node. To get it running on your desktop PC you'll need to download NodeJS and install it. I'll be working on a Mac, so you'll have to fire up "Terminal" ( search for it in Spotlight ) to continue once you've got NodeJS installed. Unzip the file, and locate it in your Terminal session. You'll need to cd into coder-base and get some dependencies installed. You'll see npm run through a whole list of packages which it'll install to support Coder. Once it's done, turn your attention to config.js. You can ignore the stuff about SSL. If all went well, you should see a message a bout generating a 2048 bit RSA key. Be patient! You'll see a warning about SSL, just continue! The last step will take some time. Once npm has done its thing you need to edit config.js in your editor of choice. On the Pi you'll want to leave the IP setting as-is, but change those ports if you don't want them to conflict with an existing web server or service on your Pi. I changed mine to 8151 and 8150 respectively. You'll see a message about generating a 2048 bit RSA private key. Be patient. Set yourself up a password, and enjoy! If you haven't read my guide to assembling your very own ultra-minimalist Breadboard Arduino specifically for your Raspberry Pi, or created your own variant, then you should give it a whirl. The Pico PiDuino is the cheapest way to dip your toes into Arduino-compatible tinkering on your Pi, and needs nothing more than your Pi and a few jump leads to program and talk to it. 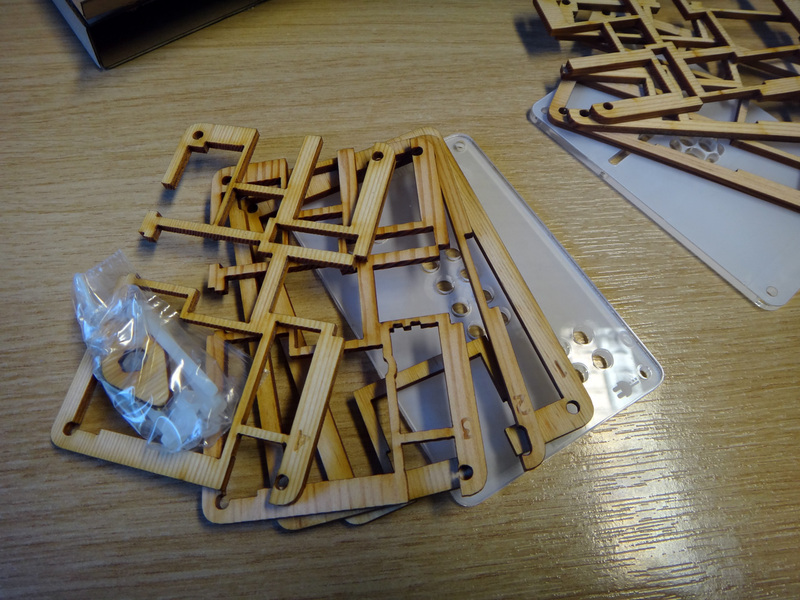 Once again, I recommend this kit from Phenoptix which, if you're in the UK, will cost you £5 and not a penny more. It's what I built my Pico PiDuino with, and it's what inspired this series of tutorials in the first place! This article will cover installing Gordon Henderson's modified AVRdude, which you'll need to flash compiled programs to your Pico PiDuino. If you're feeling brave or using a Beaglebone Black then you can also compile a modified AVRdude from source which includes a Linux SPI programming mode, and a customisable reset pin ( https://github.com/kcuzner/avrdude ). I will also cover talking to your Pi over Serial, using jump-leads to the Pi's TX/RX. Gordon has a great little setup script to get Serial up and running, and a config file for Minicom, too. I'll also tell you how to set up your /dev/ttyAMA0 to accept echoed strings and transmit them to your PiDuino- this is easy to use in many situations, and means you don't need to worry about a Python or Ruby library just yet (I'll cover using those in a future article). 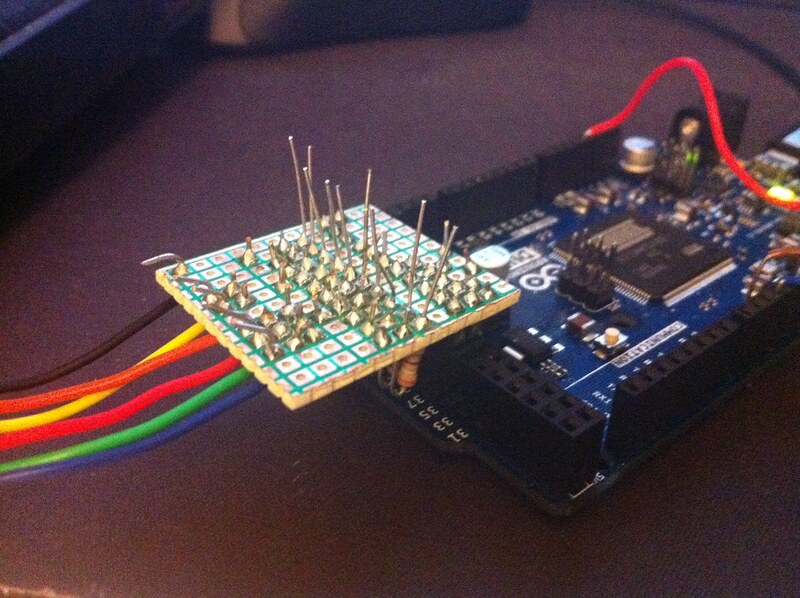 Once communication is set up, we'll look at using Arduino-mk and the Arduino IDE. I'll be focussing on writing, flashing and compiling code from the command-line using makefiles because the Arduino IDE can be a little sluggish on the Pi, and even more so if you're running headless and trying to use X forwarding. Don't worry, it's easier than it sounds. Once installed, you can use vim to edit text files, but you'll have to get your head around the Arcane commands used in the editor first. To go into insert mode, press "i" - you can now type content into your file. There are other ways to go into insert mode, with varying effects, for example "o" will insert a new line. Also useful to know is that hitting "u" will undo. If any of these commands result in text appearing in your file, you need to exit edit mode and try again. To exit insert mode, press "esc"
To quit without saving, type ":q"
The first step is to install AVRdude. AVRdude is the application which will talk to your ATmega and flash your compiled programs to it. I touched upon this in my previous article, so skip ahead if you need to. Before starting, make sure your Pico PiDuino is connected properly, you'll need male-to-female jump wires for Reset, MOSI, MISO and CLK. Make sure your power is connected too! For help, check out the Connection Overlay on my assembly microsite and the relevant pins on my Pinout Microsite. Assuming everything is good, and you get a positive response from avrdude which should look something like the below, we can move on to programming. 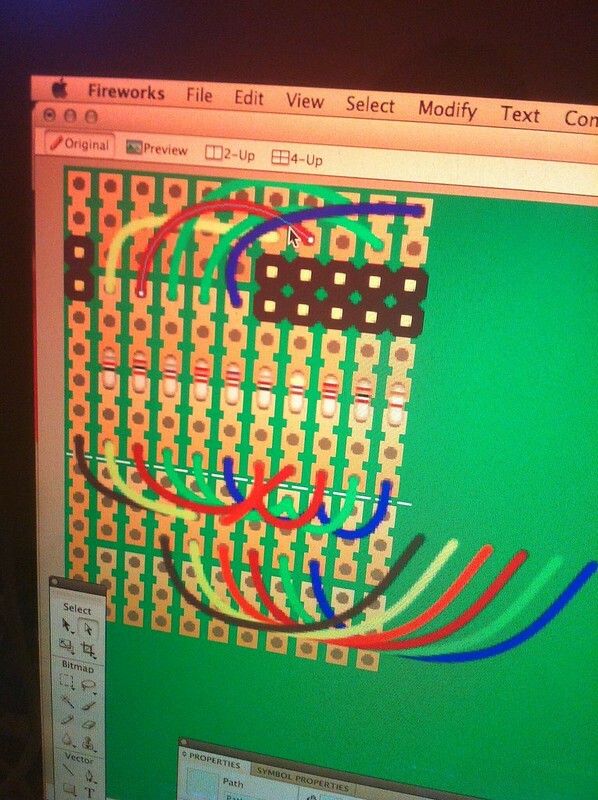 Now we're getting to the fun part; making your Pico PiDuino do something meaningful. 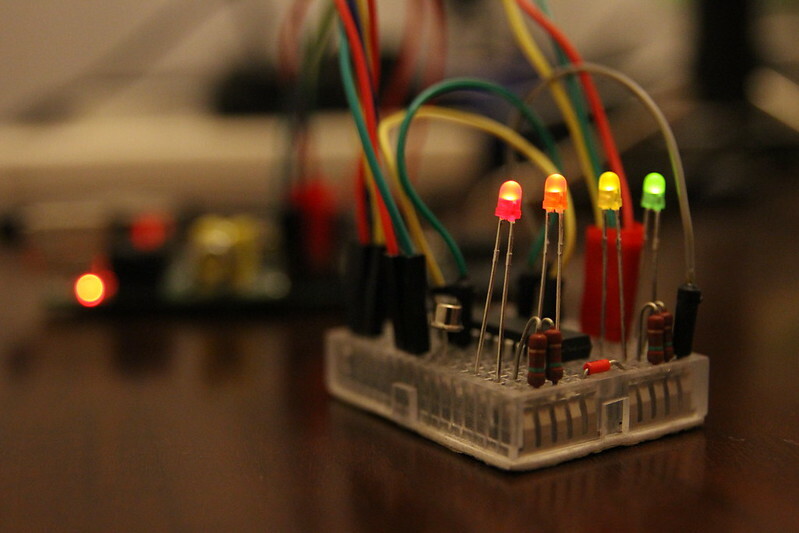 If you've got 4 LEDs connected as described in my first article this means putting together a simple program to turn them on and off via Serial using the QWER and ASDF keys on your keyboard. 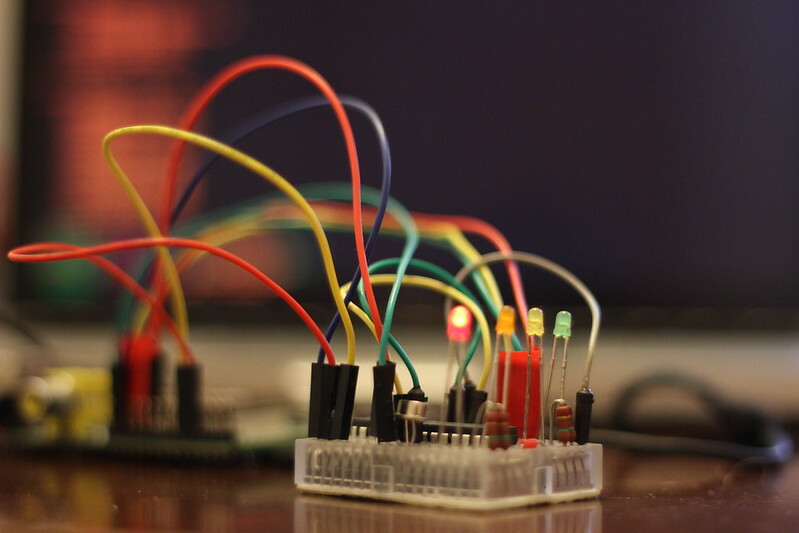 It sounds dull, and in the grand scheme of things it is quite dull, but the basics of toggling outputs on your Microcontroller, and responding to Serial commands will help you build more interesting Pico PiDuino projects and work with more exciting hardware. And create a makefile by saving the following into file entitled "Makefile"
Now you're going to need something to compile. Although we're working from the command-line, we're still working with the same language you would use in the Arduino IDE; so all the tutorials are applicable. Remember, however, that we don't have an LED connected to Pin 13, but 7, 8, 9 and 10, so adjust any examples you use accordingly. I've put together this simple variation on Blink which turns on each LED in sequence, and then turns them all off at once. 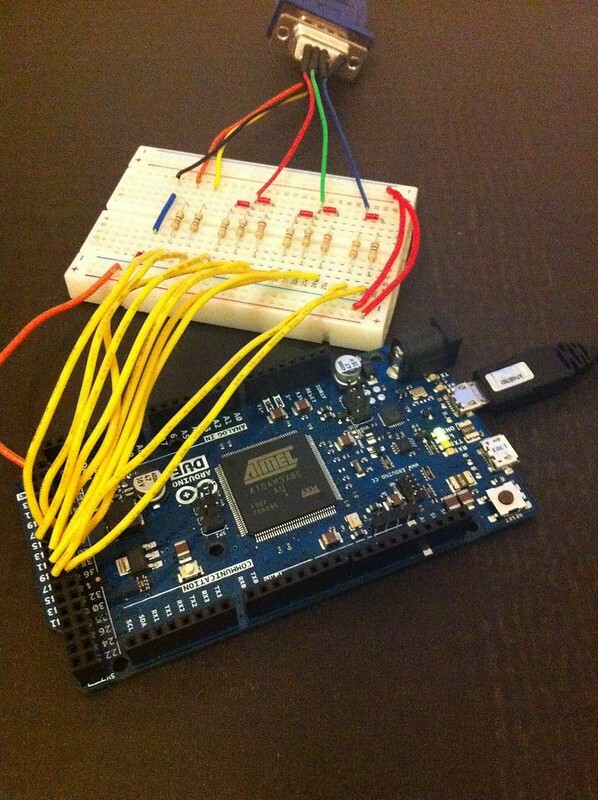 If you're new to Arduino, the below code will introduce you to a few basic concepts. If you're not, just skip to the code! The "#define LED_RED 7" allows you to define an unchanging value, which you can reference later. This is useful for assigning friendly names to obscure things like Pin assignments. So we create one constant for each pin. 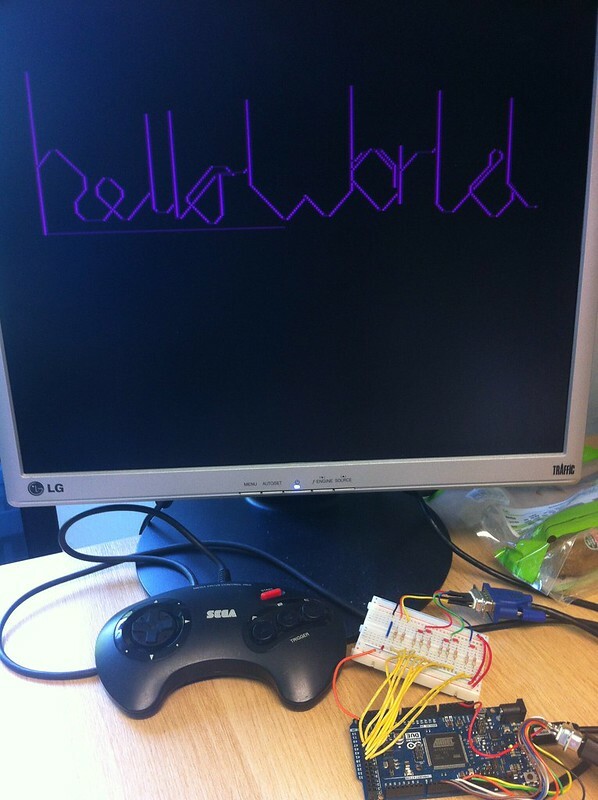 The "void setup()" function is run when the ATmega first starts up, and is used for setup. 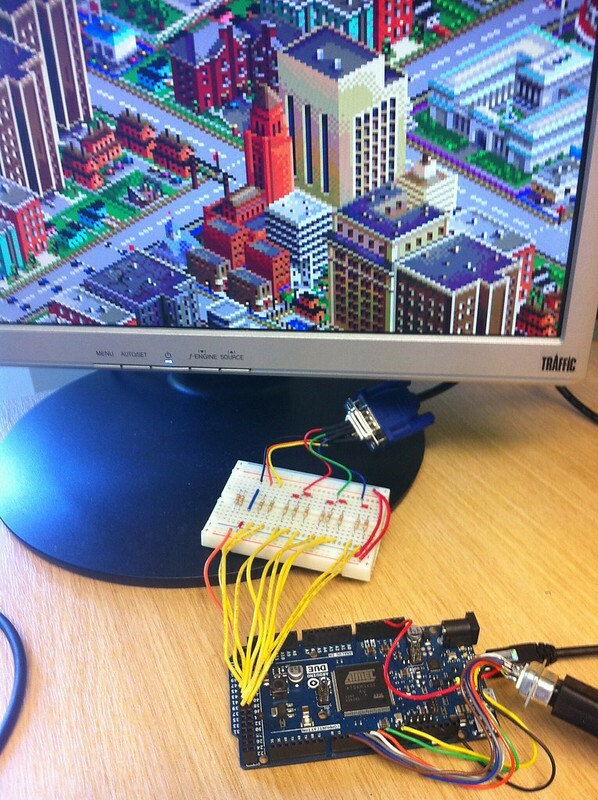 "void loop()" is run as fast as the ATmega can run it, and it's where we put things that need to happen repeatedly. pinMode sets the mode of a pin, pins can be either outputs or inputs- we want OUTPUTs to drive the LEDs and so they're all set as such. digitalWrite writes a digital value ( either 1, or 0 a.k.a. HIGH or LOW ) to a pin. 1/HIGH means an LED will turn on, and 0/LOW means it will turn off. delay does just that, delaying the ATmega for a given number of milliseconds. Save this as “blink.ino” ( or wget http://pi.gadgetoid.com/piduino/blink.ino ) in your piduino folder alongside the Makefile. To compile it, you simply type “make” and wait… and wait. Compiling on the Pi takes a while, even for the simplest of Sketches; I'll have to look into omitting some of the unnecessary libraries. 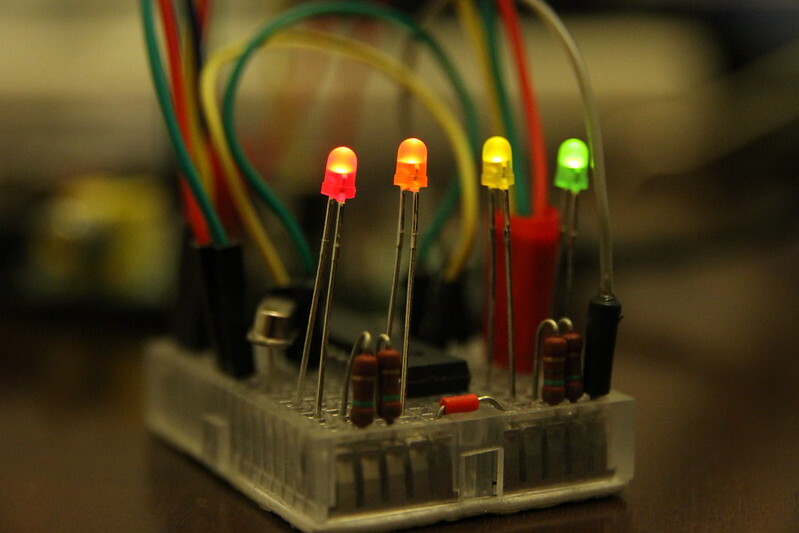 Once you’ve got this sketch uploaded, you should notice the Red LED blinking rapidly. I put this “Heartbeat” into the code so you could tell it had flashed successfully. Once the ATmega recieves a command the Heartbeat will stop and you should be able to toggle the LED manually with “q” for on and “a” for off. You can do this either with Minicom or by echoing these letters to /dev/ttyAMA0 after some setup. Once again we refer to the almighty Gordon for Minicom setup. And you'll be greeted with a terminal. Now you should be able to press "q" to turn the Red LED on, and "a" to turn it off again. Minicom does the trick, but what if you want to send a string of commands and have your Piduino intepret them one at a time? Which should turn the Red LED on and then off again 4 times. I've had success programming a Pico PiDuino with the BeagleBone Black, although the setup is a little trickier, it requires Ubuntu for starters, and the pinout is a little confusing due to the Bone's many, many GPIO pins. 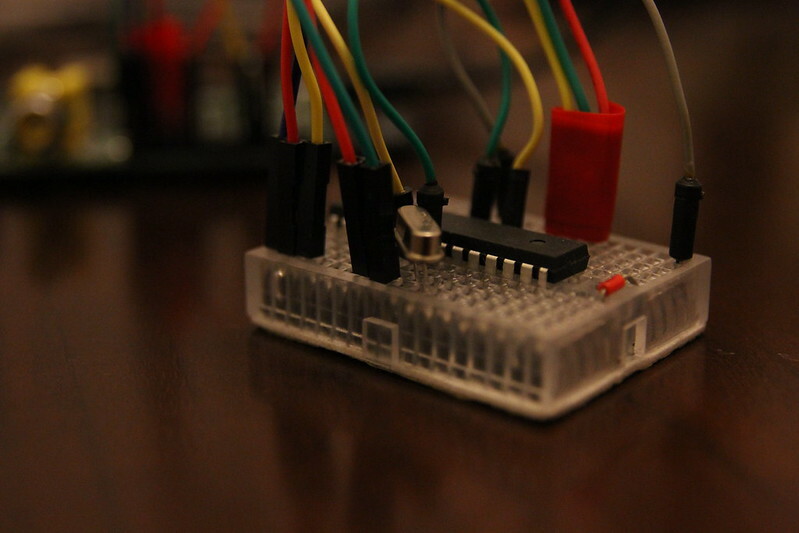 Still, I have a guide in the works for Beaglebone Black users, so stay tuned! I have a couple of ideas in mind for the next article in the series. Let me know via Twitter @gadgetoid which you prefer. Either committing the Pico PiDuino to perfboard, or getting some more exciting components connected. 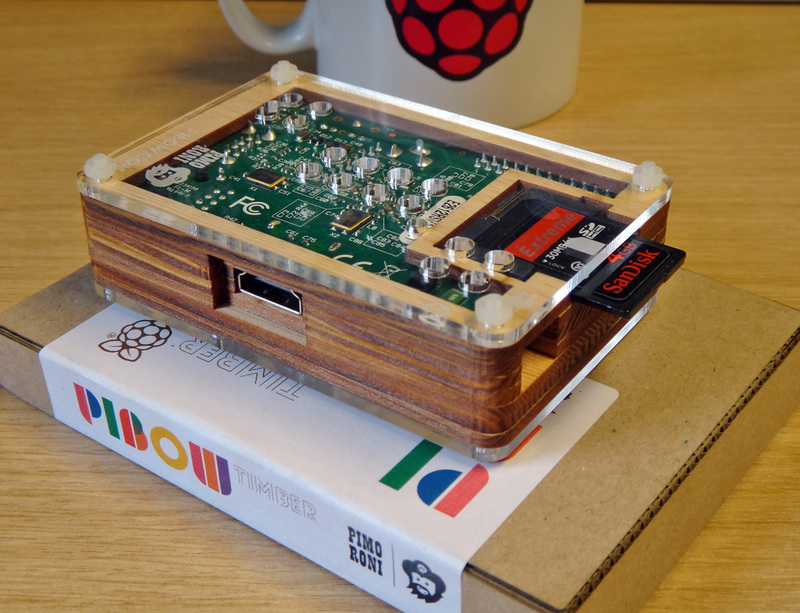 Continuing on from the PiGlow, I got my hands on another piece of Pimoroni goodness; the PiBow Timber. I picked up a plastic PiBow for my first Pi months and months ago. It has remained my favourite and, in fact, only Pi case since that day. 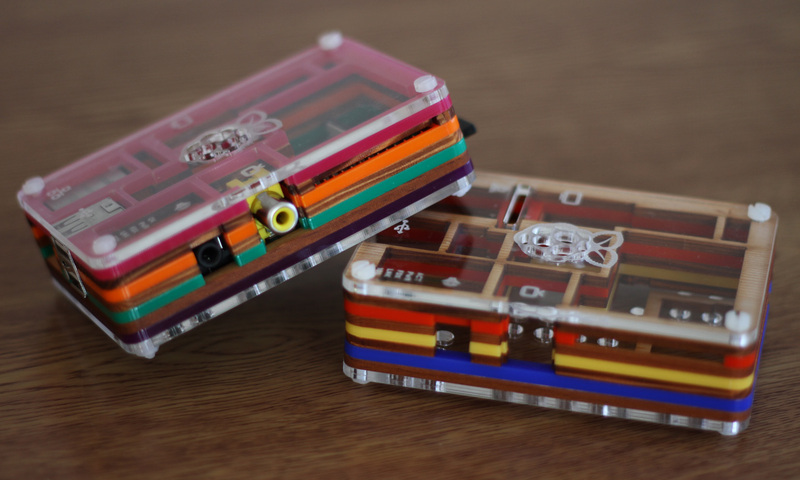 Many Pi cases have come since, but none have matched the elegance and ruggedness of the ingeniously engineered PiBow. The multi-layered design of the PiBow is, when put together, extremely strong and rigid, although the individual layers on their own can be a little fragile. 9 layers in total make up the case, a transparent top and bottom with etched icons for the SD card, HDMI, power and other ports, plus 7 wood or plastic layers making up the body. Both the Timber and plastic PiBow cases use 4 nylon bolts. 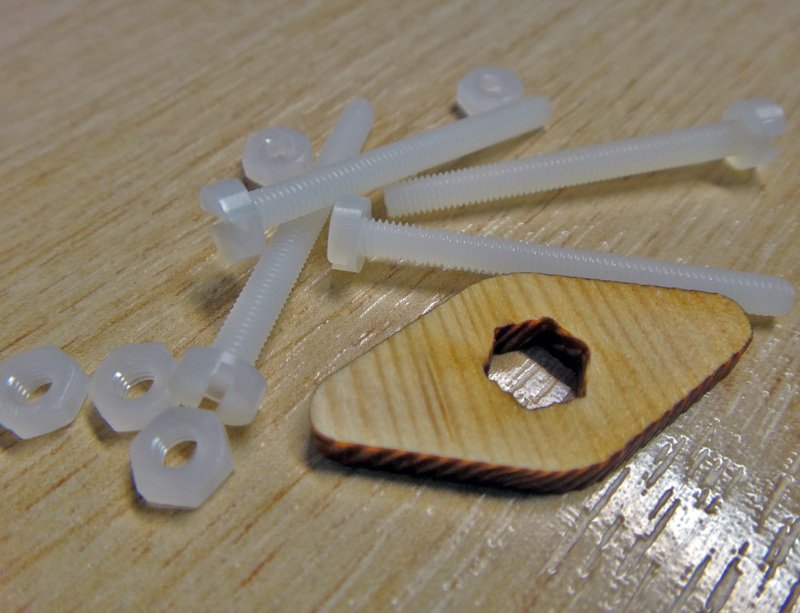 The nuts for these are a little small and fiddley, but you'll find spares in the packet and will get a little laser-cut tool for tightening them. That is until the PiBow Timber. And the only reason it's as good as a PiBow is because it is a PiBow. The Timber takes the tried and tested PiBow template and applies it to the classic medium of wood. Spruce in this case. The grain and texture of the thin, laser-cut, spruce layers which make up an assembled PiBow Timber lend it an utterly different look and feel to the plastic PiBow. 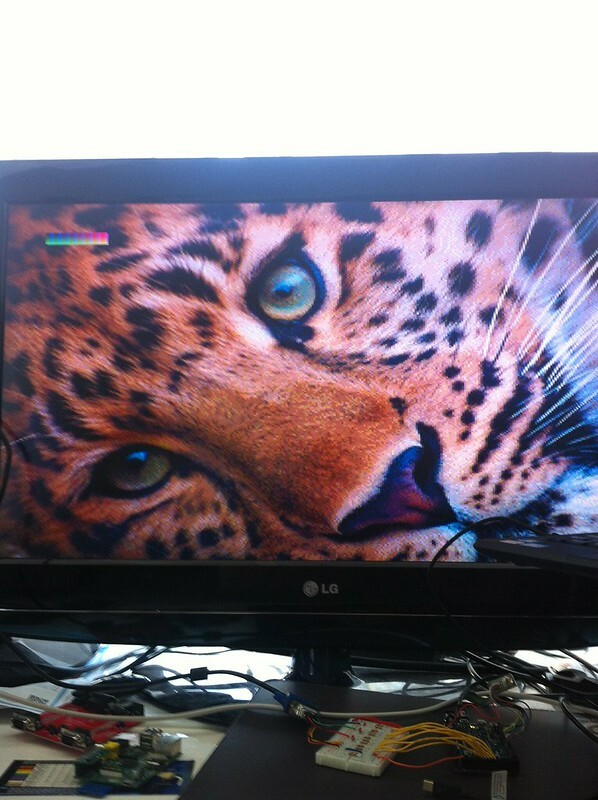 It feels like a traditional piece of computing hardware, or an old Ferguson TV, and looks fantastic as a result. While I don't want to sound weird. 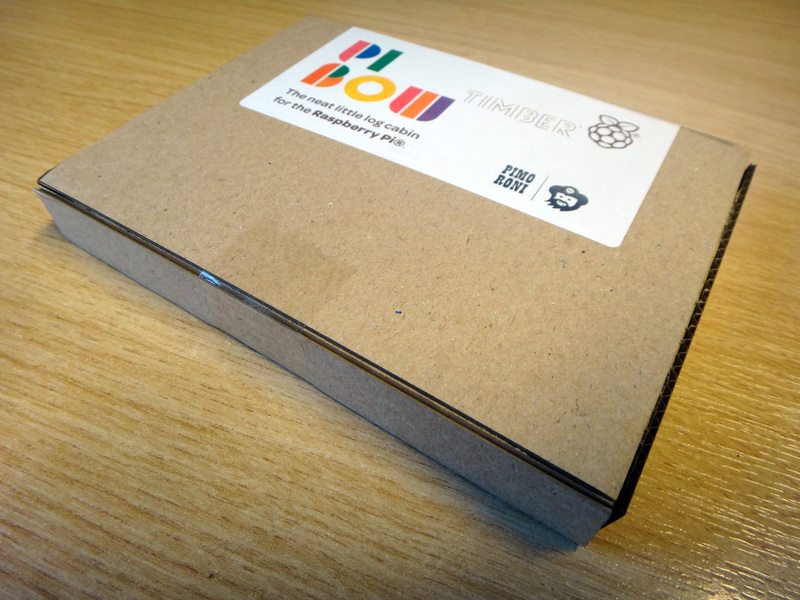 The PiBow Timber also smells utterly fantastic. It's rather like oak smoked salmon, or some other expensive smoked delecacy, and in a very, very good way too. Suffice to say, I have become quite addicted to huffing the rich, smokey aroma of the PiBow Timber... okay, I just got weird. Although such escapades seem to nausate @pimoroni I'm also a huge fan of combining the PiBow Timber with the classic PiBow rainbow. The 7 layers of the Pi make for an aesthetically pleasing split between two colours, so I decided to mix the Timber with the Rainbow and ended up with a pair of colourful yet understated cases that, once again, evoke those retro computing feelings that, as someone who didn't even live through that era, I shouldn't even be feeling. The blend leaves one PiBow with Pink, Orange, Green and Purple layers separated by 3 wooden layers, and another with Blue, Yellow and Red separated by 4 wooden layers. I'm more a fan of the Pink, Orange, Green and Purple combo and will almost certainly be keeping my PiBow assembled this way for a distinctive look.